Flying with babies can be daunting – and the prospect of boarding a plane with tots is enough to make many parents think twice before heading for the airport . Thankfully SkyBaby has the ultimate family lifesaver, that’s designed to help parents comfort and settle babies for sleep on flights. 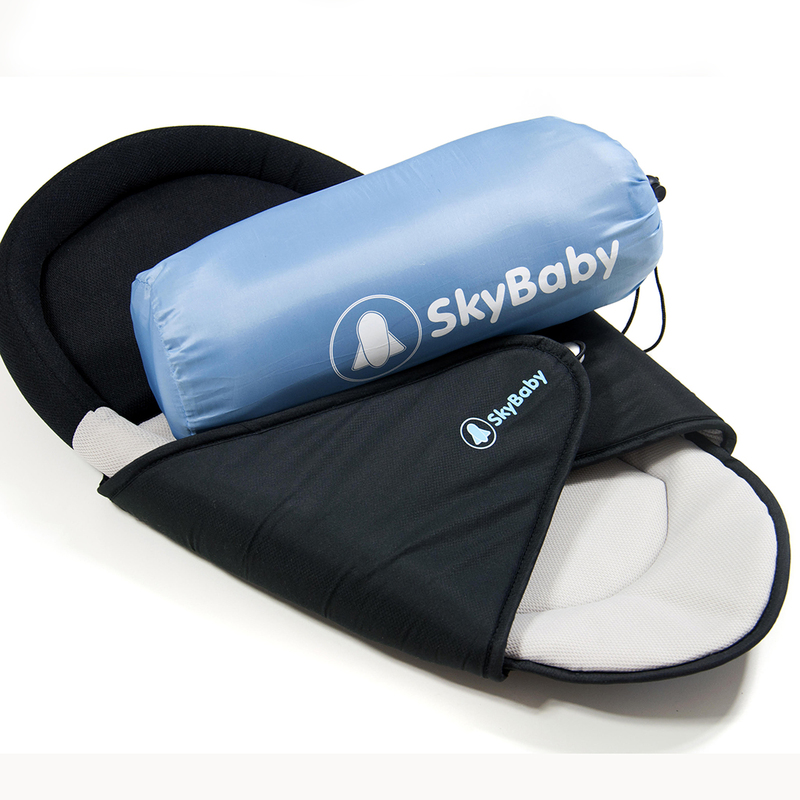 The SkyBaby secret is that it provides the perfect baby bed-on-the-go and it couldn’t be simpler to use on cramped airplanes and around busy airports. It is portable and comes complete with a compact drawstring pouch that can be clipped externally onto any bag thus saving valuable packing space. 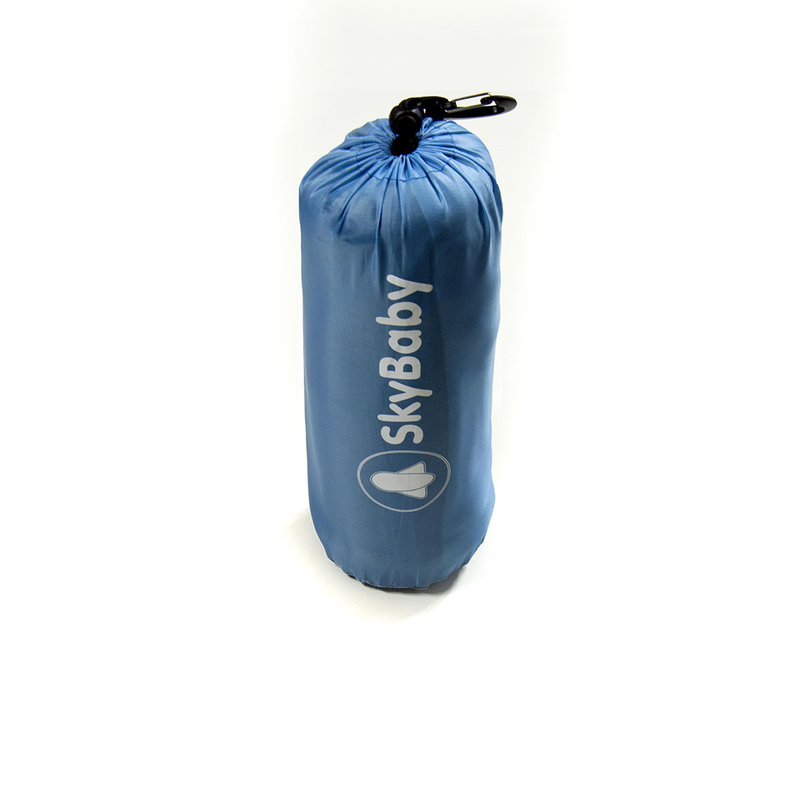 The SkyBaby is lightweight in-fact weighing under half a kilo, the light construction makes it a real shoulder saver on journeys. It is really easy to use on the move and under pressure as it can be quickly unfolded for baby and packed away again in minutes. 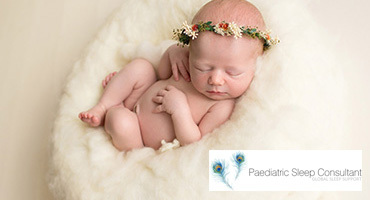 The brand’s unique design comforts the baby against the edge of the arms and lap and stops the excessive heat transfer. The integrated mattress, thick pillow and wings hug the infant and because it works in conjunction with the plane’s loop belt, baby is both snug and secure. 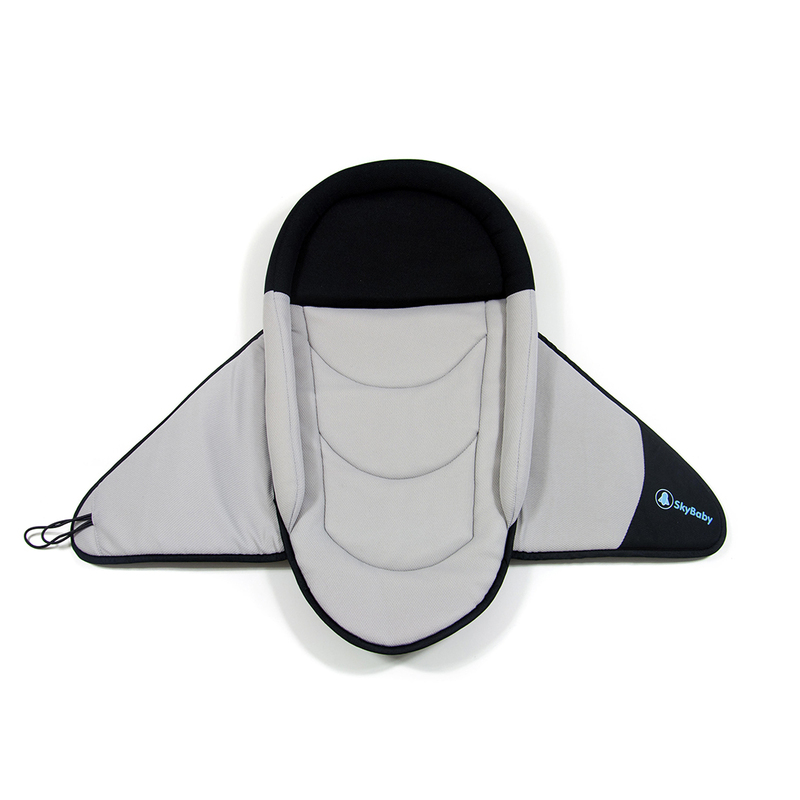 SkyBaby is suitable to use with children from newborn through to two years old, depending on the size of the child and is fully washable too. 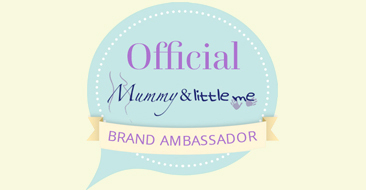 SkyBaby is designed to take the stress out of travelling with tots. It gives parents peace of mind that baby will sleep comfortably wherever they fly in the world and with whichever airline they choose. It’s hardly surprising that savvy travellers around the globe have discovered the brand’s secret to successful family flights – with 1-2 babies every hour, every day flying somewhere around the world using SkyBaby!